Will it be back from the warm weather break with a bang or will the usual slow start against unfancied opposition disappoint once more? I may have mentioned this before but my very first visit to Upton Park was to watch a game against Fulham. It was in March 1961 and in the immediate aftermath of Ted Fenton being mysteriously sent home on sick leave – just before his eventual sacking and replacement by Ron Greenwood. A disappointing 2-1 defeat set the tone nicely for the ensuing sixty years or so. A dark secret from back then was that I inexplicably believed that Bubbles included the line ‘Fortune’s always hiding, lilacs everywhere’. Perhaps not the most amusing of misheard lyrics but it was refreshing to hear that the current multi-lingual squad had managed a better grasp of the words – as they serenaded Manuel Lanzini’s at his 26th birthday bash during the annual ‘knocked out the cup early’ warm weather holiday in Marbella. With a perception that the team usually returns from such breaks with a lethargic holiday hangover all eyes will be on what is served up for us tonight. Of all the spectator unfriendly, moved for the TV schedules, kick-off times, it is the Friday night one that I dislike the most. Friday night is for unwinding at the end of the working week with a meal and a drink – it is not meant for football and has the added disadvantage of leaving the rest of the weekend free to be roped into other duties such as shopping or garden related activities. The weekend doesn’t start here but ends before it has even started! The season has a serious danger of fizzling out to nothing unless an inspired run for seventh place can be somehow pulled out of the hat. A straw poll of fellow supporters suggests a 10th to 12th finish is closer to expectations – which, for me, would represent a failure (by the club as a whole) based on where it sits in the money league. Tonight’s opponents would, no doubt, bite your arm off at the prospect of mid-table obscurity but, regardless of the outcome tonight, it is difficult to see them lasting long enough to have a shot at second season syndrome. Maybe attempting such a major squad renovation in the summer was a flawed strategy and perhaps they were too quick to jettison the manager who had earned them promotion. Bringing in Ranieri was an odd choice given that he is hardly the type of inspiring character needed in a relegation dogfight. He will dine out on his ‘serendipitous’ title winning season at Leicester forever but will most likely soon have a matching relegation honour to balance it out. Reports have it that several of the Hammer’s long term injured (Lanzini, Fabian Balbuena and Samir Nasri) could be in the frame to play a part in today’s game. It is unlikely that any will be making a start but may well feature from the bench. If there are any changes to the eleven that started at Selhurst Park then it would be Pablo Zabaleta returning in place of Ryan Fredericks and Marko Arnautovic replacing Javier Hernandez. Although I can understand why supporters might be a little miffed following Arnautovic’s antics during the transfer window, he is the only player in the squad capable of playing effectively as a lone striker. Manuel Pellegrini may, of course, opt to play with two strikers but that would leave the team woefully short in midfield numbers and energy – even against a side with Fulham’s limitations. The reservation with Arnautovic, though, is that, based on the evidence of the footage from Spain, he looked to be carrying a little extra weight than ideal. The Friday night referee is Lee Mason from Lancashire who was last seen at the London Stadium in December for the defeat against Watford. The usual pundits are unanimous in their prediction of a West Ham win; with Merson going for 3-1 against Lawro’s 2-0. 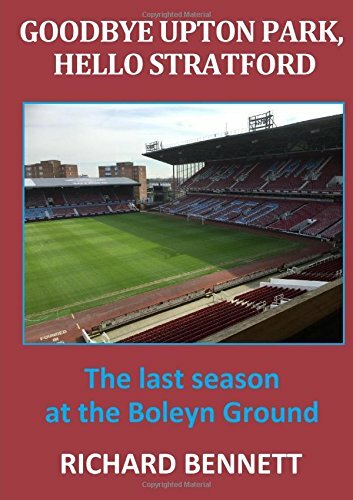 The Hammer’s consistent inconsistency over the years might have prepared us for any eventuality and many a team looking to end a miserable run of away results has frequently found West Ham to be charitable hosts. However, even if the visitors press and harry in midfield to upset the Hammer’s rhythm their defence is so shocking that it would seem impossible not to score. One of the most memorable West Ham victories over Fulham that I have seen was a 7-2 win in February 1968 – a game that featured a rare compendium of goals from Bobby Moore, Geoff Hurst, Trevor Brooking and Martin Peters (plus one from Brian Dear). It would be most agreeable to witness something similar this evening to make up for a spoiled weekend. I Have A Dream, A Song To Sing: But Will It Fade And Die Or Be Tossed and Blown? The iconic anthems of both West Ham and Liverpool take a somewhat pessimistic view on dreams. Who will be living the dream at the conclusion of tonight’s Premier League encounter between West Ham and Liverpool? Tonight’s game at the London Stadium brings together two teams with arguably the most iconic anthems in English football – Blowing Bubbles meets You’ll Never Walk Alone. Compared to own theme, YNWA is the Johnny-come-lately of anthems dating back to the mid-1960’s when the song was a Merseyside hit for Gerry and The Pacemakers. As with YNWA, Bubbles also has its origins in a Broadway musical but has been associated with the Hammers since the 1920’s. There is a common reference to dreams in both songs and depending on perspective tossed and blown might be preferable to fade and die. Aside from iconic theme songs, there is little to compare in the history of the two clubs. The once mighty Liverpool have a list of honours as long as a man with very long arms; while the Hammer’s trophy cabinet could easily fit in the average sized bathroom. However, despite a cup win here and there, The Reds have endured a long barren spell in league football, stretching back almost thirty years to the black and white days of League Division One. Many Liverpool fans will be regarding this season as their best chance of success since that famous Gerrard slip in 2014 – this is my preferred memory of Stevie G rather than his heroics in a certain cup final several years earlier. The most favourable outcome of a Premier League season for many West Ham fans would be one where no team wins the title – there are very good cases to be made against each of the top six claiming the honour. Personally, I have no particular axe to grind about Liverpool and have a lot of admiration for the job that Jurgen Klopp has done in his time at the club. In reality, the title race is a two horse one – no matter what the squatters at Wembley might believe – and both Liverpool and Manchester City play open, attractive and exciting football. From a purely footballing viewpoint I have no strong preference for one over the other but that takes nothing away from the delight I would have should West Ham manage to trip them up tonight. The most irritating thing about Liverpool is the number of professional Scousers in the media; which means that if they do go all the way then it would be advisable to steer well clear of TV, radio and social media for most of May. Having wobbled in their recent home game against Leicester, and with Manchester City breezing past Arsenal yesterday evening, the scene should theoretically be set for West Ham to test a nervous opposition. Whether the Hammers have the appetite for such an occasion is less than certain from the evidence of recent performances. Having previously beaten Manchester United and Arsenal at home perhaps West Ham can raise their game but that looks to be a long shot. As usual injuries continue to play an unrepresentative part in preparations for the game with up to eleven players either doubtful or definitely out. There isn’t a Peter in the West Ham squad (unless you include Pedro) but there would be few surprises should the season peter out – given that there is little to play for in the remaining four months. A storming performance against would-be champions could perhaps be the trigger for renewed impetus. The two main injury concerns for tonight are the fitness of Marko Arnautovic and Aaron Creswell – both of whom will reportedly undergo late fitness tests. If Cresswell is out then Arthur Masuaku will keep his place in the much maligned left back slot. Should Arnautovic be unavailable then it is pick one from a very poor bunch to deputise – perhaps that guy that Harry Redknapp brought on for Lee Chapman at Oxford will be in the crowd with his boots! With Samir Nasri also almost certainly missing, the midfield will rely yet again on Declan Rice to man the barricades and Felipe Anderson to produce the guile. An assortment of others will make up the numbers but can it be enough to worry a Liverpool defence who themselves are light on numbers? At the other end, it is difficult to imagine a scenario where our defenders are able to shackle the visitor’s fearsome front three. You might have guessed, I am not confident! Kevin Fried from Leicestershire is the referee today with responsibility to keep an eye on Salah tumbling in the box – (when I said it would be great if West Ham could trip up Liverpool, I didn’t mean in the area!) Friend was previously in charge of the Hammer’s away defeat at Brighton. Not surprisingly the pundits are banking on an away win. Lawro (who has tipped Liverpool to win every single match for several years) opts for 2-0 while at Sky, where Charlie Nicholas is sitting in for Paul Merson, they go for 2-1. As much as I would love to be positive, this game has all the hallmarks of the many thumpings the Hammers have received over the years from the likes of Man City, Arsenal and, of course, Liverpool. A fully fit Arnautovic could alter the equation a little but I sense that he will be kept back in reserve until next weekend. Best case a 1-1 draw; worst case a four or five goal defeat. Something For The FA Cup Weekend, Sir? Put on your scarf and bobble hat, pick up your rattle and break out the fresh roasted peanuts as FA Cup fourth round fever takes over the extended footballing weekend. With the Premier League becoming a cash rich over hyped marketing experience – a TV show where you are encouraged to dig deep into your pockets to be part of the live studio (stadium) audience – the FA Cup has manfully attempted to hold on to tradition, even if it is no longer holds the pre-eminent role in the season that it once boasted. Despite the best efforts of the media companies to monetise the tournament by stretching games over the entirety of an extended weekend, the competition still conjures up the nostalgia of a much less cynical and money-driven game – jumpers for goalposts, three and in, rush goalie and next goal’s the winner! The magic of the FA Cup may well be that it has managed to keep hold of its weekend scheduling, rather than being relegated to a midweek sideshow as cup competitions often are in other countries. The Cup may be deep in the shadow of the Premier League as far as the clubs and authorities are concerned but it continues to have a special place in the hearts of many match-day supporters. There is nothing better than a day out at Wembley – unless it is a Tottenham home game! Today, West Ham make their second trip of the season to the Kingsmeadow Stadium to face AFC Wimbledon. Having eventually managed to see off the Dons challenge in the League Cup they must now do so again to book a place in the 5th round Challenge Cup draw. Wimbledon have seen a change of manager since the previous encounter and despite the appointment of one-time West Ham coach, Wally Downes, they remain firmly rooted to the bottom of League 1. Even for a club as incompetent in the art of banana skin management as West Ham, this should be an easy ride. All that is then required are a set of further benign draws supported by wins today for Burnley, Crystal Palace and Sheffield Wednesday. Then we can start dusting off the claret ribbons for a mad day out in May. Manuel Pellegrini has been making all the right noises about treating the cup seriously, but with a tough league game at Wolverhampton a few days later he could be tempted to resting a few key players – or at least keep them in reserve on the bench. Even though our backup players are rarely up to the task in the Premier League they should easily have enough quality to see off today’s opponents. Surely we will see Adrian back in between the goalposts and can also expect starts for the likes of the fit again Ryan Fredericks, Arthur Masuaku, Javier Hernandez and Grady Diangana. I am also waiting patiently for a first first-team opportunity for Nathan Holland. Match-day referee is Anthony Taylor from Cheshire, who was previously in charge this season of the defeat at Liverpool and the home win over Palace. The presence of a big name referee being down to the presence of the BT Sports cameras – the game having been selected for its potential banana skin properties. Despite the TV exposure, the match is not one of the six ties selected for trial by VAR. This is a nailed on West Ham win today – and by a comfortable margin. Admittedly, I have not seen the many embarrassing cup exits at the hands of lowly opposition coming in the past but you just have to believe it won’t happen again. Just need to stock up on enough supplies to last through the gruelling weekend schedule and a West Ham win. May even call in at the barbershop on the way home. Rice and Nasri Provide The West Ham Polish As Emery Papers Over The Arsenal Cracks: Five Weekend Takeaways! A West Ham win against Arsenal, a clean sheet, record attendance and a first Declan Rice goal are just a few of the surprises served up at the London Stadium this weekend. A first home win against Arsenal since 2006 was earned through an efficient, professional and controlled performance. In front of a record home crowd West Ham triumphed in a match that never reached the levels of passion, excitement and entertainment often associated with this encounter. It is fair to say that the threat from the visitors lacked any edge and it appears that their long unbeaten run earlier in the season has hidden some deep seated problems – at least as far as top four ambitions are concerned. Until the introduction of Ramsey Arsenal offered little energy or urgency and neither Aubameyang nor Lacazette really bothered the Hammers defence. West Ham were deserved winners and, at times, played some delightful football – only failing to remember that not all of their players are accomplished enough to execute intricate, quick passing movements. It was a little disappointed that Lucas Perez was considered more deserving of a place on the bench than Xande Silva; all clubs make mistakes with transfers and the sooner that Manuel Pellegrini files the recruitment of Perez as an unfortunate blooper the better. In an early draft of my match preview I had included a comment to the effect that, if Declan Rice wanted to be considered as a top level midfield player, he needed to start scoring goals. Fortunately, I removed it before publication. I did have an inward smirk when he missed a presentable headed chance in the first period but there was ample compensation when he swept home the only goal of the game early in the second half. The delight on Declan’s face after the goal was a priceless momnet. Like most Hammers I am a huge fan of Rice but admit to being in the camp that felt his future would be as a central defender rather than in midfield. His ability to read the game, his stamina, agility, the deftness of his passing and the quickness of his feet have both surprised and amazed me. Undoubtedly he is a top talent who will want to go on and play at the top level of the game – which begs the question: can the club’s ambition ever match his own? It may only have been three-quarters of a match – and with the added incentive of it being against one of his former clubs – but Samir Nasri’s contribution to the West Ham cause on Saturday was outstanding. He brought an intelligence, touch and degree of inspiration to the middle of the park that has been missing for much of the season in the absence of Manuel Lanzini. He has that rare knack of creating space and time for himself and for picking out the right pass at the right time. On Saturday, all this was backed with the effort of putting in the hard yards and it was fitting that he provided the assist for Rice’s goal. If Nasri can repeat this level of commitment and performance it will have been a recruitment masterpiece by Pellegrini and co. The prospect of Nasri linking up with Felipe Anderson for the remainder of the season is a mouth-watering one. It was also great to see him playing with a broad smile on his face – clearly elated at being given another chance in a top league. The other rarity of the weekend (other than a home win against the Gunners) was a West Ham clean sheet – and one that didn’t need to rely heavily on the heroics of Lucasz Fabianski. Apart from a near miss by Iwobi, Arsenal rarely threatened and, although that was in part due to the visitor’s lack of guile, the West Ham defence did everything that was asked of them. Each of the defenders had a sound game and deserve a firm pat on the back, including the much maligned Angelo Ogbonna. The problem with Ogbonna is that he can be at the top of his game for long periods only to let himself down by inexplicably switching off at a vital moment. The Hammers are short of defensive options and, even if backup is secured during the transfer window, it is probable that Ogbonna and Diop will now be the main partnership for much of the remainder of the season. Will He Or Won’t He Be Back? There has been plenty of speculation concerning the future of Marko Arnautovic and how to interpret his body language during the match. Did he try, was he still injured, was he sulking, did he wave a long good-bye? I think it is difficult to reach any firm conclusions given that he is prone to spending much of the game complaining to team-mates. Based on the comments made by Michail Antonio on TV, it is apparent that Arnie is more than tempted by the Chinese millions and would be keen on the opportunity to finally have something to put into his empty trophy cabinet. Ironically, the presence of Nasri and adoption of a more measured attacking approach may not suit the Arnautovic style, where he is at his most effective using pace and power to chase down longer balls and hassle defenders. His departure would, nonetheless, be a huge loss even though keeping a player whose mind is elsewhere is a risk. Surely a £35 million price tag is way below market value and we should have learned a lesson from the Payet episode. That sort of money cannot buy an established replacement and in the current market the fee is not a good deal for West Ham.